Joe South was one of the greatest rockers you never heard of. 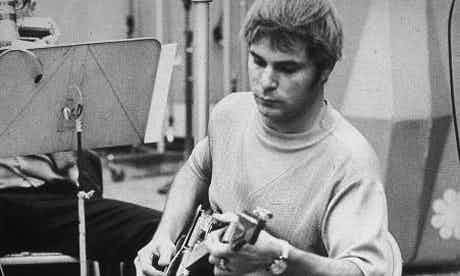 His Greatness Joe South. One of the forgotten greats of rock and country music. So if you never heard of him, kids, he was big back in the day. (And here’s the RS obituary.) … And a bit more detailed obit from The Guardian. Too bad his underrated music has been largely forgotten. He was a a talented guy with booming chops and a keen social critic who did some edgy music that won high hosannas from that edgy social critic Bob Dylan..
What’s interesting to me is… South’s music is as relevant to our turbulent times as it was in the helter-skelter sixties when he was on top. We would all do well to imagine ourselves walking in the shoes of “the other” — that other person we despise because he or she is not of our race, religion, or economic-social status. Another of my personal faves… a song that’ll make a country boy ache to go back home.